The B-52’s fifth studio album, Cosmic Thing, has just been reissued for this year’s Record Store Day – Black Friday event. It’s a nice little release, on rainbow-coloured vinyl to match the album’s cover art. Cosmic Thing marks a point of transition in the B-52’s career. Up to this point, they had been a quirky new-wave act, a cross-breed of surf-rock and thrift-store aesthetic. They looked and sounded like they had walked out of a John Waters film, and aside from a #1 single in Canada, they had barely troubled the pop charts. In 1985, the band lost original guitarist Ricky Wilson to AIDS-related illnesses, and drummer Keith Strickland took over guitar duties. The last album they recorded with Wilson, 1986’s Bouncing Off The Satellites, reached #85 in the US album charts – a new low for the band – and you might have been forgiven for thinking that the band’s days were numbered. A new record contract with Reprise led to the band’s resurgence, and they delivered Cosmic Thing in June 1989. With production duties shared between Nile Rodgers (6 songs) and Don Was (4 songs), the album sounds bigger and slicker than anything they had put out previously, and commercial reception was similarly positive. The album reached #4 in the US, #8 in Canada and the UK, and #1 in Australia and New Zealand. Singles Love Shack and Roam both reached #3 in the US Billboard Top 200, and the more ubiquitous of the two, Love Shack hit #2 in the UK, and took the top spot in Australia, Ireland and New Zealand. One has to wonder what level of influence Nile Rodgers had on the guitar sound of the album – his clean, funky guitar tone is all over the record (although he only plays on one track), and Love Shack benefits greatly from the production of Don Was, sounding more like a madcap Was Not Was offcut than the more two-dimensional output of the B-52’s first four records. The B-52’s will always make me smile. They’re a fun band anyway, but two reasons specifically stand out for me. Firstly, vocalist Kate Pierson has one of the best female singing voices of the 1980s. Powerful, raucous, and lush, it’s hard to imagine R.E.M. crossing over into the mainstream as effortlessly as they did without her contributions to 1991’s Out Of Time (on Shiny Happy People, Near Wild Heaven and Me In Honey). This entry was posted in 1989, The B-52's, Vinyl Records and tagged Black Friday, Bouncing Off The Satellites, Cosmic Thing, Don Was, Fred Schneider, Kate Pierson, Keith Strickland, Nile Rodgers, Out Of Time, R.E.M., Record Store Day, Reprise Records, Ricky Wilson, The B-52's on December 4, 2018 by mrjohnnyandrews. Is there a more important year in music than 1967? It seems to exist as a pivot between then and now, the old and new, the past and the future. Thanks to that year’s rebooted technicolour of the Beatles, and similarly colourful debuts by (the) Cream and (the) Pink Floyd, the floodgates were opened and the rules were rewritten. Pink Floyd must have been some whacky sight to behold around this time. Who would have thought that such a pretentious bunch of architecture and art students playing freak-out music in front of a trippy light show would become one of the world’s biggest stadium rock bands? At this point, it’s still very much Syd Barrett’s band – his off-kilter rhymes and childlike lyrics drive the record along, with very little of the form and function that would characterise the band after Roger Waters took control. Compared to the comparatively conventional beat music that had peppered the charts over the previous five years, the primitive and experimental feel to Floyd’s early music is almost proto-punk, a pre-echo of that other seminal year in music a decade later. Hearing a Pink Floyd song on the soundtrack to a film is thankfully a rare thing, but I appreciated the appearance of the brilliant Interstellar Overdrive on the otherwise dull Doctor Strange a couple of years ago. The outlandish asking price for last year’s Record Store Day 12” live version of the song was too much for me, but for this year’s Record Store Day I hunted down this mono reissue of the album, in a lovely redesigned outer sleeve by Aubrey Powell at Hipgnosis. This entry was posted in 1967, Pink Floyd, Vinyl Records and tagged 1967, Aubrey Powell, Cream, Disraeli Gears, Doctor Strange, Hipgnosis, Pink Floyd, Record Store Day, Roger Waters, Sgt. Pepper's Lonely Hearts Club Band, Syd Barrett, The Beatles, The Piper At The Gates Of Dawn, vinyl on June 8, 2018 by mrjohnnyandrews. 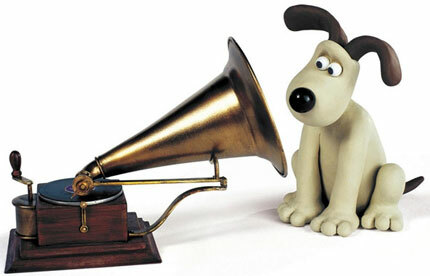 It’s Record Store Day tomorrow. Independent record stores around the world get to increase their coffers as thousands of casual music fans race in for an extremely limited picture-disc of Dire Straits’ Money For Nothing in the shape of Mark Knopfler’s sweaty headband. Among the many reasons to visit participating stores on RSD – giveaways, food and drink, in-house performances by local bands – are the exclusive releases themselves. These range from the unbelievably awesome (such as the rare Foo Fighters’ Laundry Room EP from a few years ago, featuring demos from their great first record) to the unbelievably gimmicky (such as last year’s reissue of Nilsson Schmilsson, pressed on split yellow / white vinyl – yours for only $80). I’ve learnt over the last 10 years or so to steer away from the gimmicky cash-in releases (I had my eyes on that Nilsson Schmilsson record last year, as I didn’t have the album in my collection at the time, but found a nice second-hand copy in the wild just a few weeks later for $2). These days, I look at the list, spot one or two releases and look for them online. Yes, it defeats the purpose of the day – getting people in-store – but it’s not really a day for diehard record collectors, who prop up these shops the other 51 weekends of the year. Some of my favourite releases over the last couple of years have been the alternate Fleetwood Mac records. 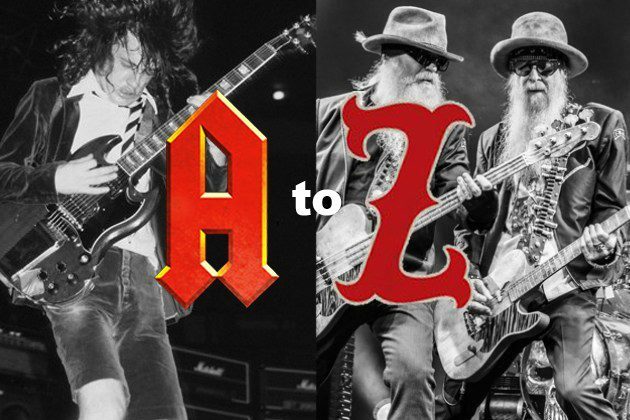 Lifted from the material previously available on the Super Deluxe box sets, these exclusive RSD releases present demos and alternate takes for each album, with the songs presented in the same running order. Record Store Day in 2016 gave us The Alternate Tusk, 2017 gave us this, Alternate Mirage (strangely without the definite article), and this year the release is The Alternate Tango In The Night. I’m really looking forward to hearing alternate takes of what is probably their polished, over-produced album. With Lindsey Buckingham (reportedly) fired from the band, and replaced by Crowded House’s Neil Finn, and the Heartbreakers’ Mike Campbell, the alternate Fleetwood Mac will be touring the world later this year. This entry was posted in 1982, Fleetwood Mac, Vinyl Records and tagged Alternate Mirage, Crowded House, Dire Straits, Fleetwood Mac, Foo Fighters, Lindsey Buckingham, Mark Knopfler, Mike Campbell, Neil Finn, Nilsson, Nilsson Schmilsson, Record Store Day, The Alternate Tango In The Night, The Alternate Tusk, Tom Petty & The Heartbreakers on April 20, 2018 by mrjohnnyandrews. 1954? That makes this recording over sixty years old. It still sounds crystal clear – it would, it’s the 2015 Record Store Day reissue – but regardless, it’s still magical sounding. In the next couple of decades we’re going to start approaching being able to listen to 100 year old recordings. Insane. Well, I guess we can listen to 100 year old recordings now, but considering that nobody put out anything worth a salt until the 1950s, it won’t be worth considering for a while yet. In fact, that’s wrong. Glenn Miller’s a boss, and he was the best-selling recording artist from 1939 to 1943. So 1939 would mean twenty two years until the centennial celebrations for the likes of In The Mood and Chattanooga Choo Choo. But just imagine when we reach the 100 year anniversary of the first Frank Sinatra hit, or Elvis’ Heartbreak Hotel, or the first Beatles album. Good grief. Will we start referring to it as classical musical? Running in under a sprightly twenty two minutes, this 10” album comes from a time before the 12” record won the war to become the primary record format. This happened a few years later around 1957, just in time for the rock and roll explosion. It’s a nice format, but obviously the shorter running time leaves you wanting more. We’d call it an EP these days, but back then they’d probably just refer to it as Frank’s latest record, regardless of the running length. This entry was posted in 1954, Frank Sinatra and tagged 1954, Frank Sinatra, Glenn Miller, Record Store Day, Songs For Young Lovers, vinyl on January 10, 2017 by mrjohnnyandrews. My love/hate relationship with the Clash continues. Re-released on Record Store Day’s Black Friday in 2015, I really only bought this because of the lovely split vinyl in white riot / Protex blue. It’s too good just to look at though. One of the things I love about this debut album is the tracklisting versus the running time. Fourteen songs breeze past in thirty five minutes. What’s not to like about an album where the average running time is two minutes and fifty three seconds? If you don’t like a certain song, by the time you reached that decision, there’ll be another one coming around the corner in a matter of seconds. I should like the Clash. They’re clearly the most talented of all the bands that came out of the punk movement in the UK. They can really play and they’re great songwriters, which you can’t say for a lot of the punk bands that got by on a mixture of attitude, nose rings and spit. It isn’t the band that’s to blame though for my apathy towards them, it’s the bloody fans. Clash fans are one of the worst subcultures in music fandom. To Clash fans, the Clash are the beginning and end of everything. And don’t get me started on the deification of Joe Strummer. As part of a well-balanced musical diet, the Clash are a healthy pursuit, but moderation is everything and the Clash are really nothing more than the best of a bad bunch. Or are they something more? What am I missing? This entry was posted in 1977, The Clash, Vinyl Records and tagged 1977, Joe Strummer, Punk, Record Store Day, The Clash, vinyl on February 12, 2016 by mrjohnnyandrews. My sole purchase (so far) from this year’s Record Store Day releases – a re-release of the 1972 debut album from the JBs (James Brown’s backing band, for the uninitiated). This is as good as anything James Brown was releasing around this time (he’s listed as not only the producer, but also ‘the creator’). Still, even though it’s (mainly) instrumental, you still get the odd cry or whelp from James in the background (after the opening chant of ‘Pass the peas, like they used to say’, that’s clearly him shouting ‘Pass them then!”). I was lucky enough to see Fred Wesley play in Auckland last year, and highlights of the show were definitely Pass The Peas and Gimme Some More, from this album. It’s shows like that which restore my faith in Auckland society. I can go for months (years sometimes! ), thinking there’s no culture in this city, or anybody close to having the same interests as me, and then I find hundreds all at once in the same place. Sadly, while Record Store Day gave me Food For Thought this year, it also provided some figurative food for thought. I think this year’s Record Store Day will be the last year I attend at opening time. Last year was bad enough at Real Groovy in Auckland at 9am. This year it was even worse – double the amount of people as 2013, all clambering over each other to get records on one small double-sided rack. What should be a happy, joyous occasion is just turning nastier and nastier every year. This year, it even smelt bad – it’s poorly attended by chicks, so all you get is overweight, bearded men reeking of body odour. Both years I’ve then gone onto Southbound Records in Mt Eden around 10am, and it’s been much nicer – on Record Store Day, they have a couple of helpers walking around asking if you’d like (free) coffee. Still, I reckon Southbound at 9am on RSD would be just as unpleasant at Real Groovy at the same time. It’s so small, there’s hardly any room to move when 10 people are in there, I can’t imagine what it’d be like with 20 or 30 people (or more). I’ll take my chances later in the day, and maybe from next year, take the kids along – who knows, they might enjoy the festive mood. Surely that’s the point of the day, not the early doors, every-man-for-himself, display of music-industry capitalism at its worst. 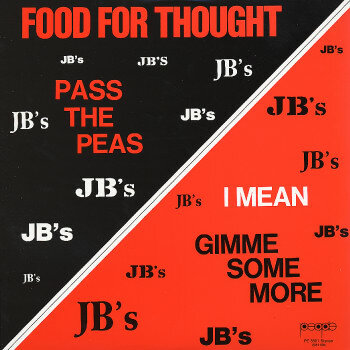 This entry was posted in 1972, The JBs and tagged 1972, Food For Thought, Fred Wesley, James Brown, Record Store Day, The JBs, vinyl on June 27, 2014 by mrjohnnyandrews.